This is fabulous silk satin scarf with a Celtic spiral design and amazing pink to coral colours. 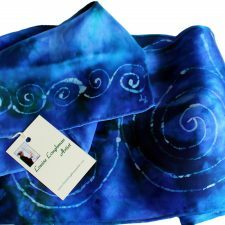 The spiral is a well known Celtic design, symbolising the cycle and continuity of life. 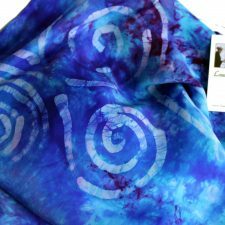 The design of this Celtic Spiral Silk Scarf is inspired by the spiral design on the entrance stone to the famous prehistoric monument of Newgrange. Some of the finest examples of Neolithic Art can be found at Newgrange, which is Ireland’s best known passage tomb. 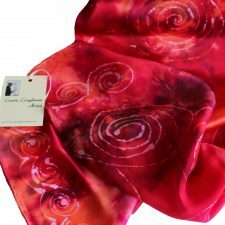 The colour combination of this beautiful scarf is a variety of pink to coral tones with a smattering of contrasting yellow/orange. 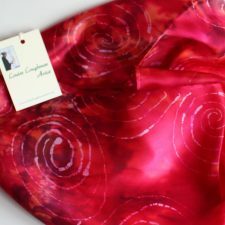 The design of the Celtic spirals are spread across two thirds of the scarf and also border the other end. As these Irish scarves are handmade and handpainted each one is an original silk and batik painting, which makes your gift completely unique. Note: please allow for screen colour and resolution differences. Handmade in Co Monaghan by Louise Loughman, who studied Visual Art and Textile Design. 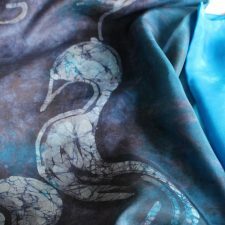 Originally Louise specialised in printed textiles, but once she discovered silk painting she never looked back and loves the way the colours flow and blend into each other on the silk. 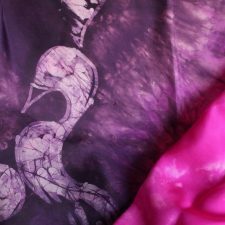 She went on to experiment with the style of batik, an ancient Indonisian craft of using hot wax as a resist to block dyes from going into certain areas of the fabric, she loves the natural fluid flow of drawing with hot wax. Louise has become an experienced batik artist, painting on silk. 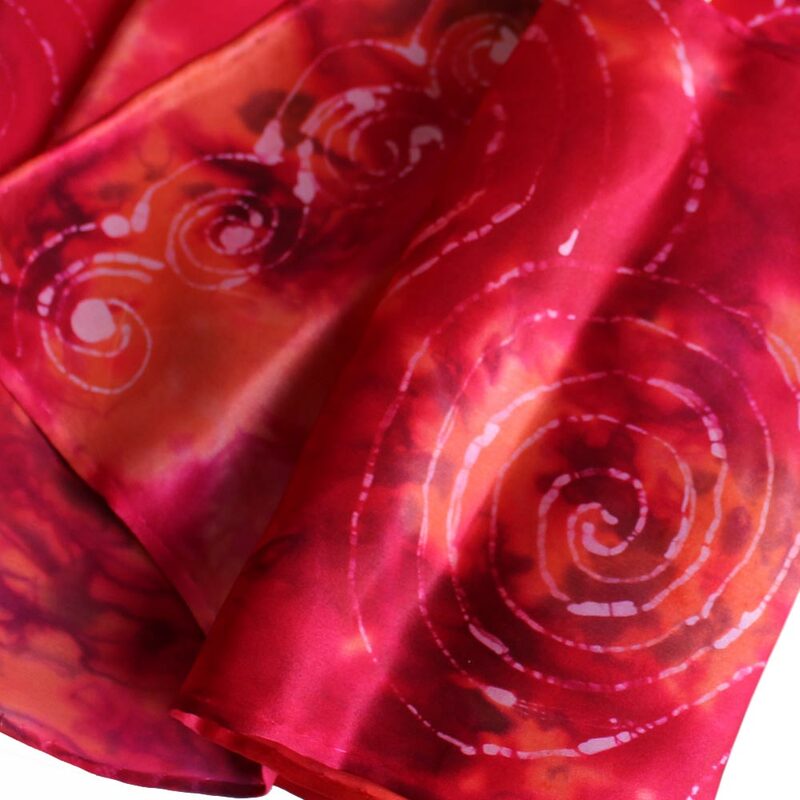 Each of her scarves is a handcrafted original piece inspired by Celtic folklore. The colour influence is taken from Ireland’s beautiful floral landscape. Creating beautiful gifts for women. Handmade in Ireland. Click here to view all Louise Loughman’s silk scarves in stock.